Chesney’s HEAT Collection comes in four models (HEAT 400, HEAT 500, HEAT 600 and HEAT 700), available in a Black, Antique Blue or Sage Green paint finish. 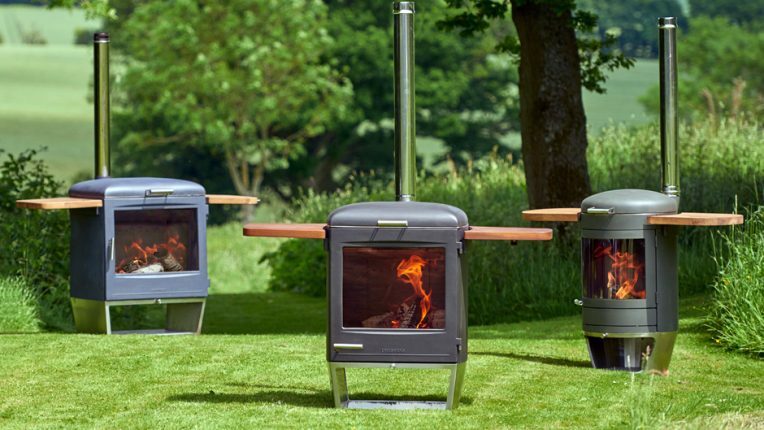 The HEAT offers cooking and outdoor heating modes, a rotatable, removable grill for variable cooking heights and for Wok cooking, as well as an insulated lid to reduce heat loss. There is a single lever air control for cooking and heating, cool touch handles and a digital thermometer for precise cooking control. Removable wooden side shelves can be purchased as an additional accessory, to provide a generous cooking and preparation area, supported by a log store base. * Details below based on the HEAT 500.